You can read the Enterprise Product Focus of the Month here also authored by Brian Muttonen and you can also read the Desktop Product Focus of the Month here and the Desktop Tip of the Month here authored by Ryan Butcher. Overall process – average cycle time, quantity completed, quantity in process, can also sort by division, product, and other variables. The tip this week is how to create simple reports to capture workflow statistics from change management objects within PDMLink. Companies can then use those results in order to analyze the process to find bottlenecks and process improvement areas. It is a way to set up a process of continuous improvement on your development/change processes. 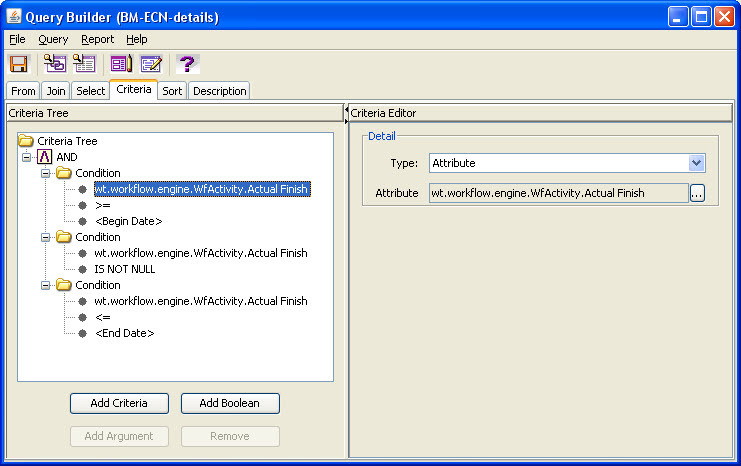 We are going to look at each activity that is tied to ECN workflows. 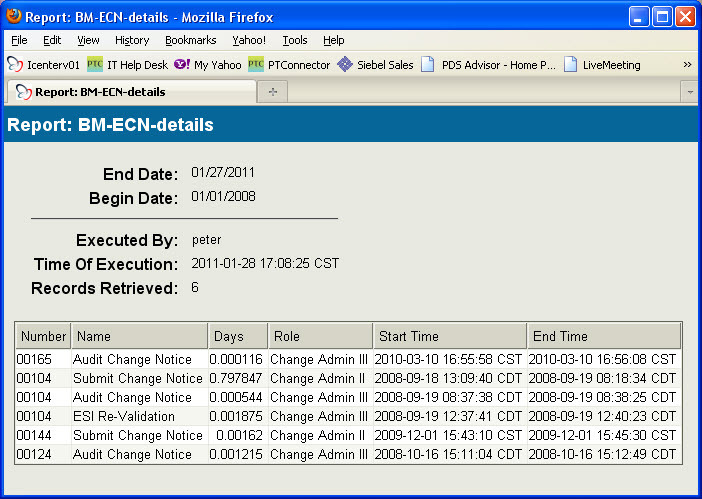 We need to join the Activity to the Work Item and then the Work Item to the ECN. You can use joins to do additional things such as linking to Product contexts and ECR’s. This will give you a fuller picture and ways to sort your output. The Select tree is for deciding what you want to show on your report output. Here we chose to put some details and the overall time in days for each task to complete. 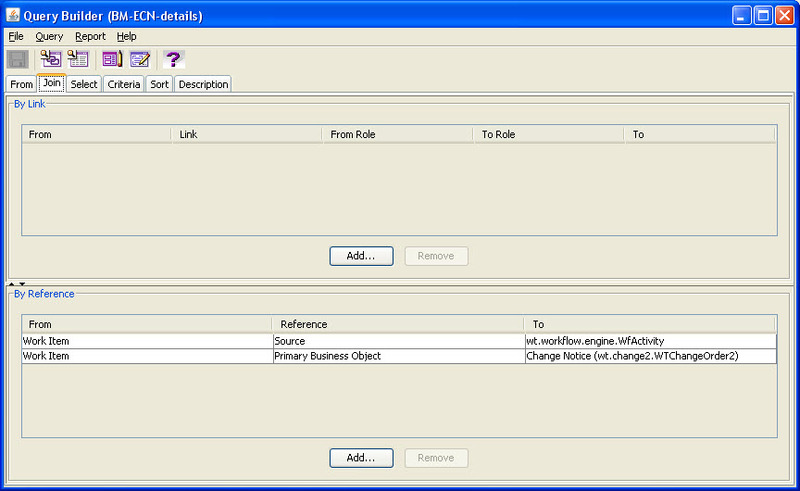 The Criteria tree is for defining the date range for the change workflows to track. We have decided to only look at tasks that have completed during the date range. So you can see they could have started at anytime. Our concern in this case was to look at recent data of completed work. This will give us the most recent data on each task to find out if the cycle time of the task is growing, shrinking, or staying the same. The next picture is of the input parameters to the query. We have added in Begin Date and End Date of the tasks. We can also choose to display as an html or to output to csv in order to use a spreadsheet for further data manipulation. The intent is to grab the data in a time bound manner and to view it so we can find which tasks have opportunity for improvement. The last picture is of the output in html format. The column Days shows how long each task was open, which means it was assigned, in queue, then worked, and finally completed. 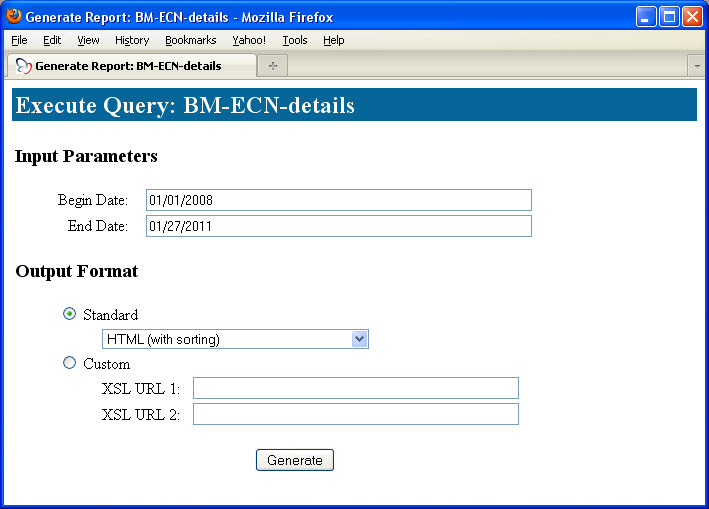 The output of this report can be either csv or html. If you use csv it is simple to use pivot tables to quickly get data to use for investigating the potential bottlenecks. With Business Reporting in PDMLink you can generate a nicely formatted output and potentially some automated delivery to process managers on a periodic basis (that will have to be a tip on a future newsletter). Dr. Edward Deming always said to strive toward continuous improvement of all processes within an organization. This is one mechanism to get the data in order to monitor and find improvement areas.